After 45 years these two 70s groups are still touring and the last original member of "The Platters" has died. ---Two great 70s groups still on tour. ---The last original member of the "The Platters" has died. ---A look back at a song from 1963 by "The Angels"
---"Jailhouse Rock" - Elvis' co-star never saw the film preview. ---New Nostaliga series - Do you remember this cowboy? Two popular 70s groups still touring. The classic rock hits of Foreigner and Chicago have many long time fans saying it still "Feels Like the First Time." That song, along with "Cold as Ice," and the band's top ballad, "I Want To Know What Love Is," are my favorites by Foreigner. Still led by 67-year old co-founder/guitarist Mick Jones, Foreigner remains active, playing more that 100 shows a year. The group "Chicago" founded in 1967, were first known as The Big Thing, and then as Chicago Transit Authority before the name was shortened to Chicago. Chicago is the first American rock band to chart Top 40 albums in five different decades and have sold more that 100 million recordings. My favorite Chicago song "If You Leave Me Now" earned the group a 1976 Grammy Award. Twenty one of Chicago's singles have hit the Top 10 on the Billboard Hot 100. "Look Away," "Hard to Say I'm Sorry" and "If You Leave Me Now" hit number 1. Many groups support charitable causes, but Chicago supports several so if you have a chance to see them live, pay the big bucks, they deserve it. While I was reading my friend Robert Benson's blog an album jumped out at me that I almost forgot I had. 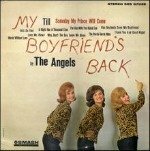 The album was "My Boyfriend's Back" by The Angels with lead singer Peggy and her two sisters Barbara and Jiggs. The single spent three weeks at number one on the Billboard Hot 100 chart, and number two on the R&B Billboard. Robert has a nice article about the inspiration for the song and how the recording was originally intended as a demo for another girl group. You can read his article at Collecting Vinyl Records.com. The very first time I recall hearing The Platters was 1955. I walked into a small soda shop across the street from Taylor Elementary in Hamilton, Ohio and heard the song "The Great Pretender," playing on the jukebox. The song was new at the time. I just thought "Wow" what a really a cool song. As founder and naming member of the legendary group The Platters, Herb Reed racked up an impressive list of achievements. He and his group performed sold-out shows in more than 100 countries; made nearly 400 recordings and sold millions of albums, earning the group membership in the Rock and Roll, Vocal Group and Grammy Halls of Fame. Reed, 83, who sang bass for The Platters on such hits as “The Great Pretender,” “Smoke Gets in Your Eyes,” “Only You” and “Twilight Time,” died on Monday, June 4, 2012, after a period of declining health. I miss those really talented groups from the fifties and sixties that are fading fast with age. I have two original albums by The Platters and already have plans to write a special page on my website for this talented group. Why was July 4th, 1957 a sad day for Elvis? In 1957 Elvis made two of my favorite movies, "Loving you" and "Jailhouse Rock." Leading lady Judy Tyler never saw the premiere of Jailhouse Rock because she died in a car wreck July 4th, 1957, three days after filming was completed. Elvis refused to watch this movie because of Judy Tyler's tragic accidental death fifty five years ago this July 4th, 2012. You can read the "Jailhouse Rock" article on my Elvis Presley movies page. A little Nostalgia for the true Cowboy Fan. Remember Allan "Rocky" Lane? Allan Lane gained fame in the late 1930s and early 40's in Westerns and movie serials and played Red Ryder in seven films in 1946 and 1947. He then galloped into more than 30 "horse operas" as Rocky Lane with his trusty horse Black Jack. Back in the 40s and 50s you could sit around the dinner table and listen to those horse operas on the radio with other famous cowboys including Roy Rogers. Rocky Lane was the voice of Mr. Ed in the iconic 1960s sitcom about a talking horse. He died in 1973 at age 64. If you're into Vinyl Records and want good quality content, be sure to visit Collecting Vinyl Records.com. You will not be disappointed. Have a great month...see you around the first Wednesday of each month.